There are worse places I could have chosen to explore for my first time in Mexico. Chiapas wasn’t what I expected Mexico to be – and at times hardly felt like Mexico at all – but it was more than I ever could have hoped for. From empty Mayan ruin sites to some of the best waterfalls I’ve ever seen, Chiapas is a TOTALLY underrated part of Mexico. And even if Mexicans know just how cool this part of their country is, it seems tourists aren’t in on the secret yet. During our 8 days exploring the Chiapas state, we came across very few tourists – and, at times, few people in general – but an endless list of places to explore and things to experience. If you’re planning a trip to Mexico, don’t miss Chiapas. And if you’re already planning a trip to Chiapas, here are some of the best ways to see the south-eastern state. The region has a lot to offer, so I’ve divided the main attractions into four interest-based Chiapas tours. Of course, if you have time, it’s worth fitting a bit of each into your trip. For each of these Chiapas tours, I’ve included why you might want to take it, the things you absolutely shouldn’t miss, and some pre-organised options that cover the best bits (should you want to leave the planning to someone else). 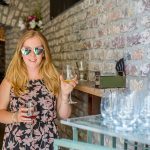 Why take a food tour of Chiapas? 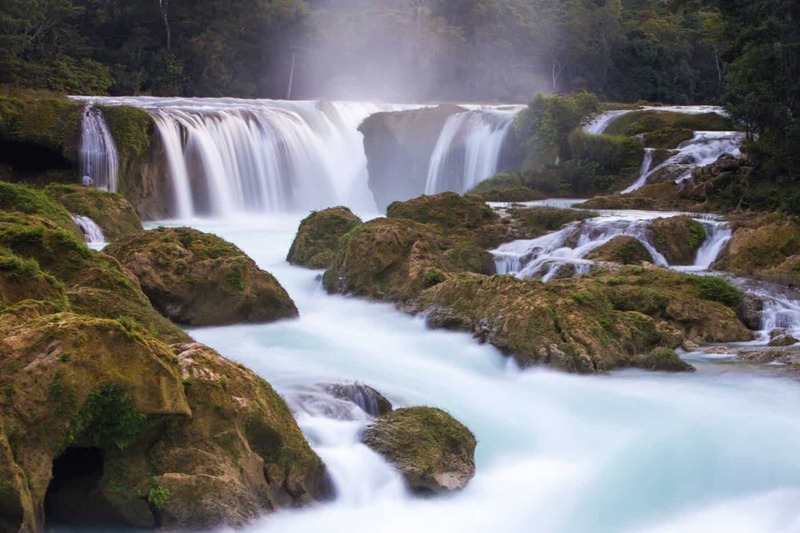 Why visit the Chiapas waterfalls? Why take a tour of the Mayan ruins in Chiapas? Why take a road trip to Chiapas? If you’ve been following my blog or YouTube for a while… well, it won’t come as a surprise that I want to start with the food. It’s no secret that Mexican food is some of the yummiest in the world. Ask a room of 10 people what their favourite food in the world is, and you can be sure that at least one or two will pick Mexican. But head down to Chiapas and your taste-buds become acquainted with a whole new flavour of Mexico. Which is a great excuse to base your entire tour of Chiapas around food! Tamales! This doughy, corny breakfast food is super filling and each one is different. They can be found on many Chiapas street corners early in the morning for less than a dollar a piece. Try a different flavour every day if you can and see which style you like best. Once you have room again, it’s time to try some Chiapas coffee. As you’d expect from a state that borders Guatemala, Chiapas has some of the best coffee in Mexico and there’s a good chance you’ll want to take some home with you. Make sure you save room in your suitcase (and your stomach!) for the delicious Chiapas chocolate, too. Both make fantastic gifts to take home. 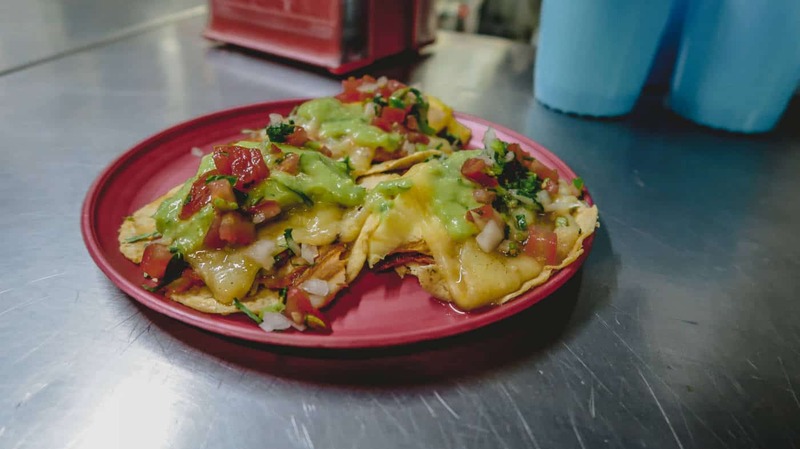 Oh, and don’t forget to try some Chiapas tacos – the ones we had at a little roadside spot in Comitán were some of the best tacos we had in the whole of Mexico. And since we ate them almost every day for a month, that’s saying something. If food is your priority, spend at least a couple of days in San Cristobal de las Casas. Here, you can learn all about the food on a gastronomic walking tour of the city before trying your hand at a local cooking class. I’ve said this before, but I’m not overly enthusiastic about waterfalls. Of course I love a good waterfall, but I’m ready to move on once I’ve spent a few minutes admiring it – unlike the landscape photographers I usually travel with. A waterfall has to be pretty epic to capture my attention and keep me entertained for as long as it does my photographer and videographer travel buddies, and the Chiapas waterfalls did. In fact, I loved them so much that I wrote an entire blog post on my four favourite waterfalls in Chiapas! The one place in Mexico we did come across lots of other tourists was at the Agua Azul waterfalls. 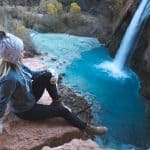 It’s not hard to see why word has got out about this incredible series of waterfalls, but head there early in the morning to see it before the crowds arrive. With plenty of picnic benches, swimming spots and stalls selling coconuts (tequila optional! ), it’s a great place to hang out for a few hours too. If you really want to see a different side of Mexico, my favourite waterfall spot is the ecolodge of Las Nubes. 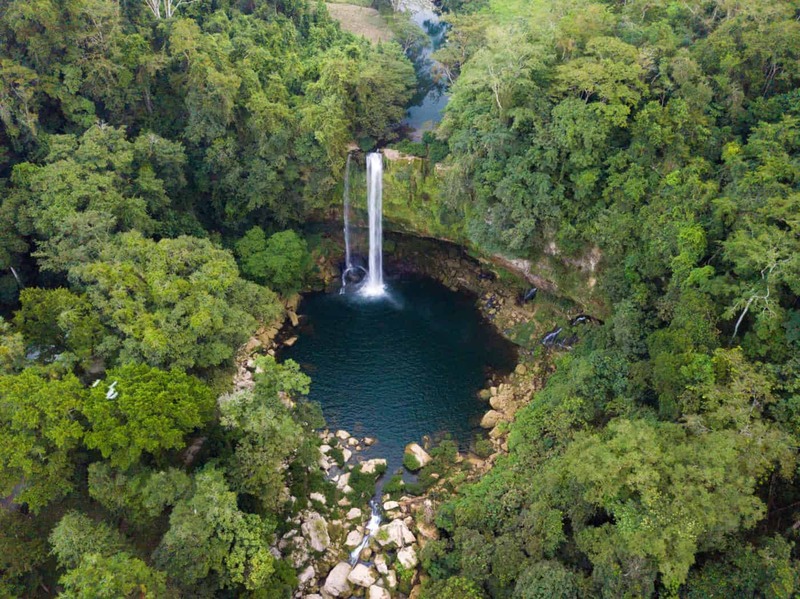 This massive waterfall is set in a remote but beautiful part of Chiapas where you’ll feel far away from civilisation. You’ll need a car to get out there (or an organised tour) and there’s lots to do around the lodge, so book in for a night or two. We only stayed one night but if we’d known just how incredible this place would be, we would have booked at least two. Finally, if you want impressive waterfalls that come with a morning-long hike and some equally impressive views, head straight to El Chiflon. Aside from a couple of campers, this series of five waterfalls was deserted when we arrived. One of the main reasons travellers visit Mexico is to see the ancient Mayan temples, and Chiapas has more than its fair share of ruins. 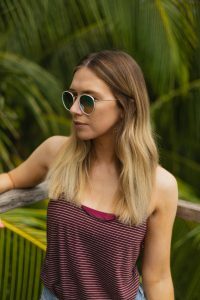 What’s especially great about Chiapas is that the sites are much less popular than their Yucatan and Riviera Maya counterparts – so much so that we had some of them entirely to ourselves. Due to their locations, basing your Chiapas tour on the Maya ruin sites will be a great way to see both the history and the current day life of the region. While Palenque may be the most popular – and probably the biggest Mayan site we visited – we all agreed that Yaxchilán was our favourite. 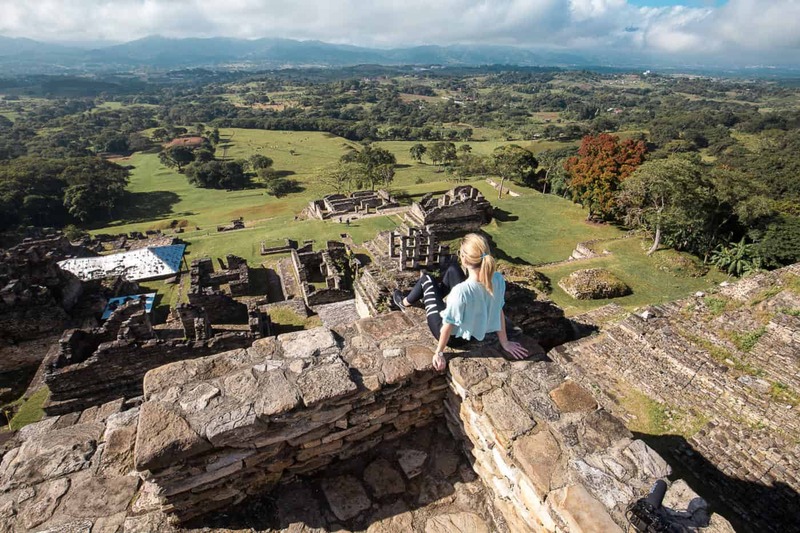 This remote ancient city is located on the bank of the Usumacinta River on the Guatemalan border and is accessible only by boat, which only adds to the adventure. Coming in a close second was Tonina, a site that’s just as easy to get to… and was just as empty when we visited. Climb to the top for some amazing views (and photos like the one above!). Book a pre-organised day trip to Yaxchilan so you won’t have to worry about finding a boat. This one also includes the Bonampak ruins, where you can see some cool cave art. Whenever anyone asks, one of my main travel tips for Mexico is to hire a car and that’s especially true in Chiapas. Part of the Chiapas charm is just how remote and isolated many of the best bits are, and having your own wheels will help you make the most of it. Anything! Make the most of being able to visit the most remote places, from Las Nubes to the Chucumaltik cenote, and enjoy them at your own pace. And when you fancy a break from driving, spend a night or two in one of the main cities and hop on a pre-organised tour to the more popular sites.